As you've likely heard by now, Snap last night priced its IPO at $17 per share. That's above the proposed $14-$16 price range, which means that the Los Angeles-based "camera company" raised $3.4 billion at around a $24 billion valuation. For context, the 15 U.S.-based tech companies that went public in 2016 raised a total of just $1.44 billion (per Richard Peterson at S&P Global). Shares opened trading at $24. Collateral beneficiary: Keep an eye on shares for Snap-On (NYSE: SNA) this morning, which could get boosted by sloppy day-traders. Kind of like what happened with a penny stock trading under FACE when Facebook went public. Rival watch: Not only does Snap have to deal with competition from Instagram, but it also has a big Asia rival called Snow, which had been downloaded 100 million times through December, and has 40 to 50 million monthly active users. Here's more on Snow. 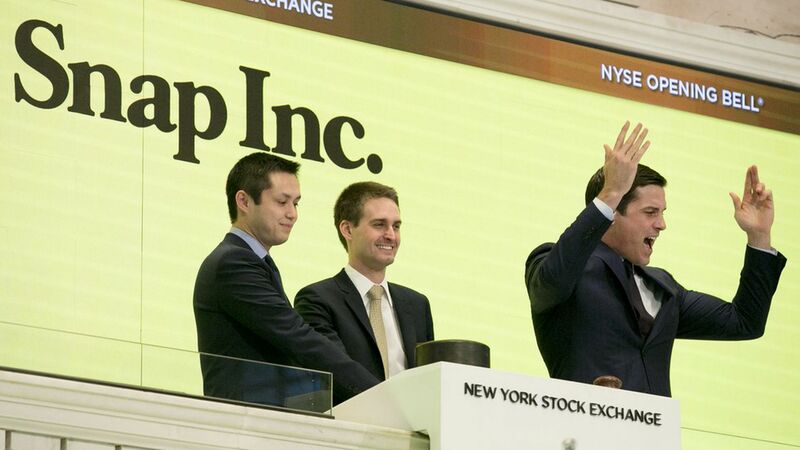 Pop pop: Finding the right IPO price for an oversubscribed offering like Snap can be tricky. On the one hand, companies want to raise every last dollar, since it helps to fund growth. On the other, negative aftermarket performance can weigh on a company's reputation with both potential customers and employees (something Facebook experienced after its troubled offering in 2012). There's also the unavoidable reality that if Snap shares soar or tank today, critics will slam the offering's bankers for being either dumb or greedy. Key indicator: One big thing we still don't know is how many of Snap's IPO buyers are long-term investors. Reports earlier this week suggested that the company is asking investors for a one-year lock-up ― which is more than twice the lockup period for most of Snap's VC backers and vested employees ― which would be a big vote of confidence in a company that has yet to produce profits and whose growth is under attack by Facebook's Instagram.